Everyone is in agreement. 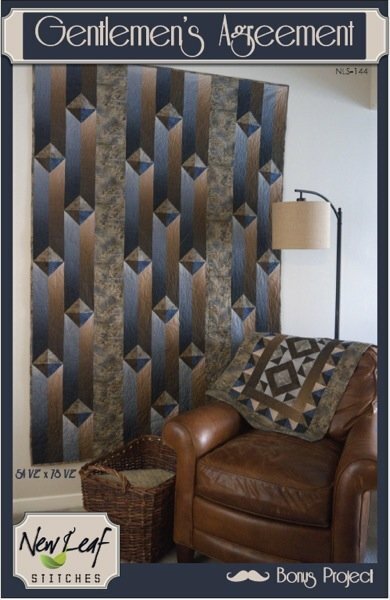 This masculine quilt’s geometric design & easy technique is appealing to all. And, it’s backed in Minky for added softness. The smaller quilt is a scrap-saving bonus project easily made with the Clearly Perfect Angles. PLEASE NOTE: The quilt was made about 5 years ago, so the fabric is very hard to find. There are lovely ombres available from a variety of manufactures, besides Maywood, that are listed on the pattern.